With the acquisition of the film rights to the “Alice” property, we will begin work on animated short films inspired by the “Alice: Otherlands” concept. 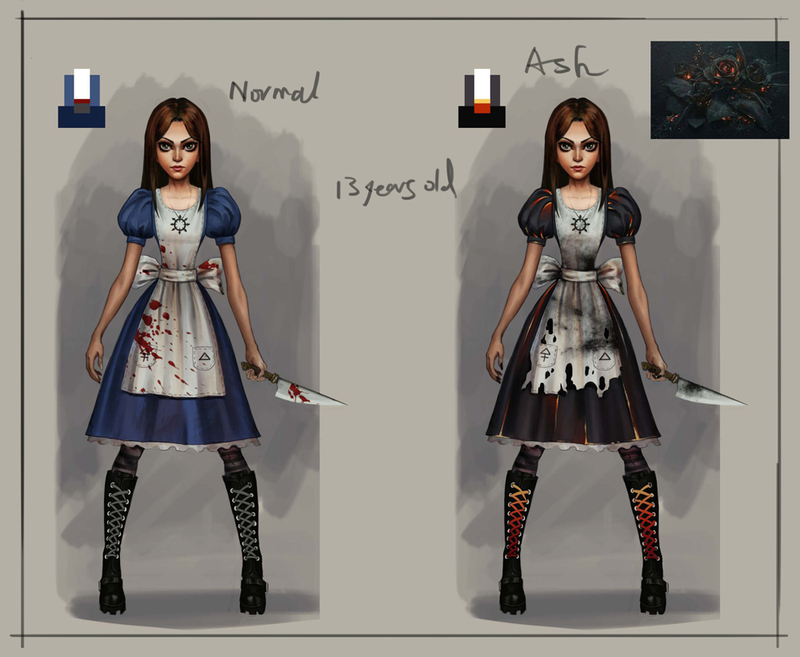 Our long term goal will be the development and production of a feature length film version of Alice’s story. If this campaign is successful you will receive, at a minimum, an animated adventure into Otherlands. Beyond that, the success of this campaign will bring us one step closer to seeing Alice on the big screen. A 12-month option on the film rights was acquired for 100kUSD. Remaining funds went towards the creation and shipping of physical rewards to over 3000 backers around the world, animation production expenses, overhead, development costs, and legal fees. For a detailed breakdown of income and expenses you can check out this graphic. On October 31st, 2015 links were provided to all the finished digital content from the project. And by March 14, 2016 all of the physical rewards were sent out to backers. 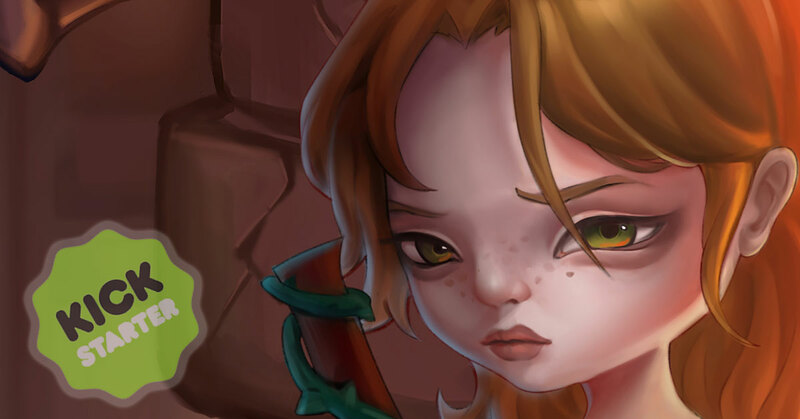 Otherlands hit all goals and delivered all promised content and physical rewards. In the years since the Otherlands download links were originally posted, they’ve grown old and died. That’s partly because hosting large content for fast download isn’t free. I’d hoped that after some years the content might end up spread across the Internet such that I’d no longer have to personally pay for hosting it. But judging by the daily requests I receive for download links it seems a single point for storing these files is still needed. If you backed the Kickstarter please read this Backer Only Update for details on downloading the Otherlands files. If you did not back the Kickstarter please consider purchasing something from Mysterious, ordering “Out of the Woods” or donating via PayPal to support my creative efforts and hosting of this content. You can grab the Otherlands download link and password HERE (subscription to this site required). Where is Alice 3? – Will there be an Alice 3? – New Alice? – Alice Sequel? I get this question constantly. Several times per day. Across YouTube, Twitter, Facebook, LinkedIn, Instagram, and via my InReach satellite messenger. My dog has even learned how to ask this question via Morse code farts. My hope is that this post will become the top search result for this question on Google and that you’ve arrived here after a Google search. Reading this, you won’t need to send a message to me directly asking any of these questions. That would be great. 1. EA own, control, and decide the fate of the game rights to Alice. That means any new game must be green-lit, funded, produced, published, and distributed by them. 2. 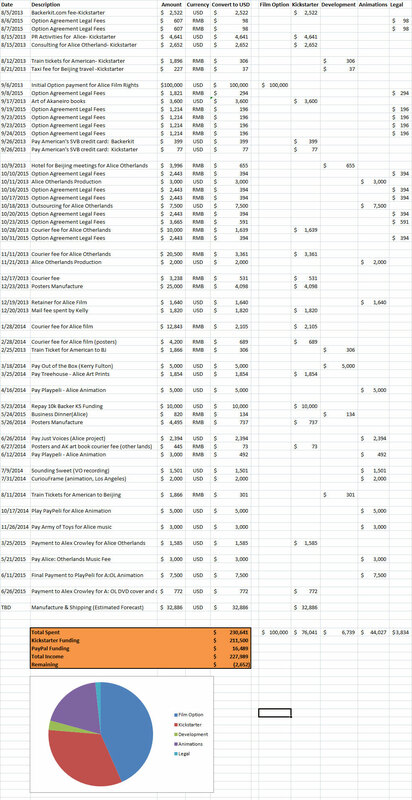 No, EA will NOT allow me (or anyone else) to crowd fund, raise investment for, or otherwise self-develop, self-fund, or self-publish any interactive version of Alice. 3. I HAVE NO CONTROL over the Alice rights, EA’s decision-making process, or anything at all related to Alice, Alice merchandise, Alice adaptations, etc, etc. 4. EA are aware that you’d like a new Alice game and that RJ Berg and I would be happy to assist in the design, writing, and development of such. We simply need to wait until EA think the time is right for a new game. 5. There probably WILL BE another Alice game before we all die, but your requests, ideas, and harebrained schemes to make that happen faster should be sent to EA, not me. 6. No, I cannot put you in touch with “that person” at EA. Tweet at them. That’s what I do. 7. Please, stop asking me this question or questions in general related to a new Alice game. Again, I have no more control over this situation than you do. Tweet at EA. Hope that clears that up. Update (September 4th, 2017): I’ve decided to build a pitch for ALice 3. Add your name to the Mailing List to show your support for a new project. I can’t promise the pitch will result in a new game, but we might as well try, right? Also, this really doesn’t change any of the points above. And this would have nothing to do with a re-master or re-release of the previous games. SIGN UP HERE. While we’re on the topic of Alice, many of you write expressing your confusion about Alice: Otherlands. That project used the Alice FILM rights, which are not controlled by EA, and was funded via Kickstarter. All goals were achieved and all rewards delivered. If you’d like more info on this film/animation project, please check out the Kickstarter page. NO, I do not have a demo of Madness Returns. I don’t have access to any of the removed content. And I am VERY frustrated with the small group of fanatic trolls who continue to bring up this topic and pester me with questions about it. Please, stop. At this point, I’ve begun blocking any person who persists in questioning me on this topic, so you’ve been warned. Last thing: I REALLY appreciate the passion everyone has for the Alice series. I want to see a new game as much as you do. Apologies if this message comes out sounding frustrated or angry, but the amount of traffic I get on these questions literally impedes my ability to put effort towards new ideas and new projects. I don’t want to ignore the questions, but I do wish the volume would lessen. I appreciate your understanding. PS: If you want official merchendise and Alice-inspired stuff, check out Mysterious. PPS: “Out of the Woods” is my NEW GAME! A table top card game, illustrated book, coloring book and collection of art prints inspired by ten classic fairy tales. 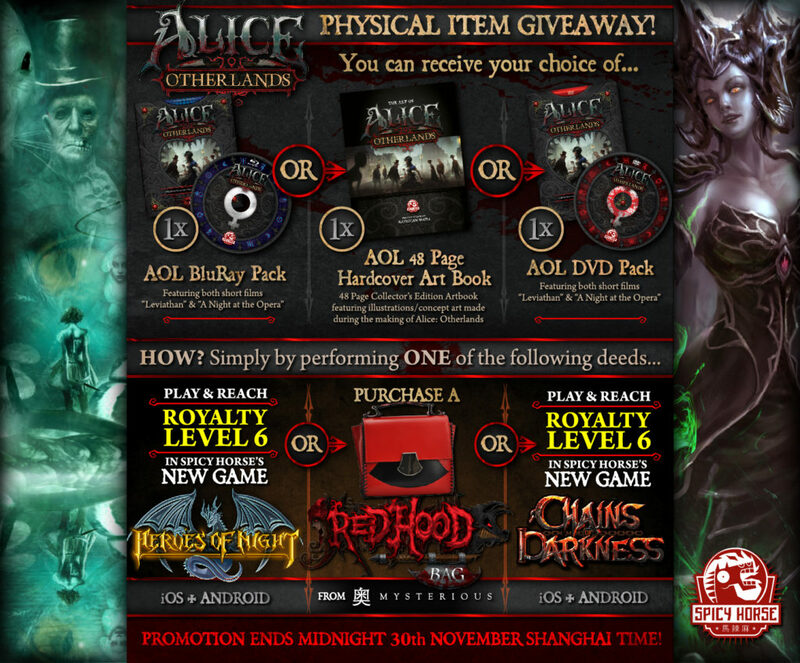 You should back it on Kickstarter because doing so will make EA think more about a new Alice game! Happy to announce the release of the 2nd edition of the Red Butterfly Vorpal Wallet. Only 200 of these wallets have been produced. Grab yours before they flutter away forever. The Vorpal Wallet is necessary kit for any adventure down the rabbit hole. Hand constructed of fine quality leather embossed with Hatter’s signature mercury symbol. 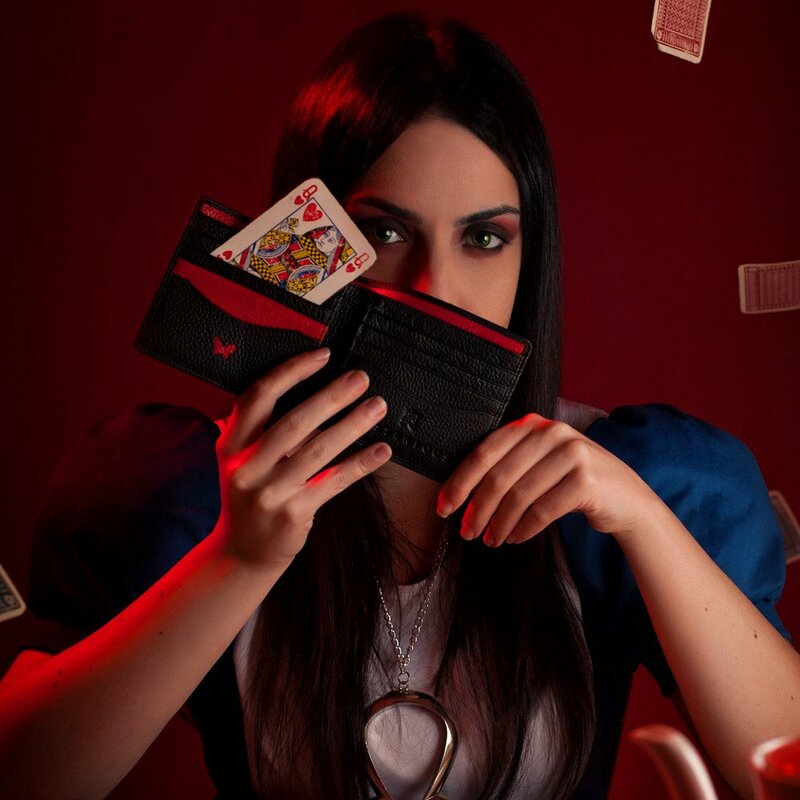 Each Vorpal Wallet comes with an autographed and number certificate of authenticity signed by “Alice” creator American McGee. 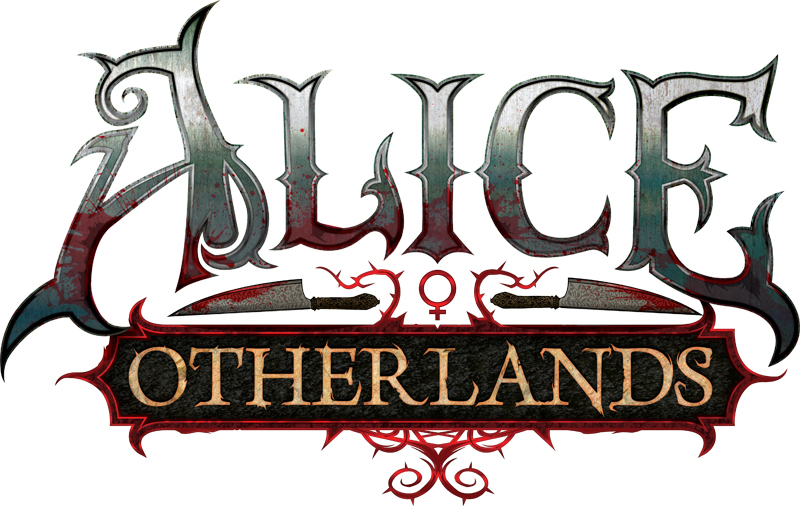 Contained in this post are links to digital assets for Alice: Otherlands. This content was made possible by generous support of those who backed the Alice: Otherlands Kickstarter campaign. My sincerest thanks to all those who backed, supported, and worked on the campaign. Otherlands represents a narrative exploration of Alice’s journey after the events of “Madness Returns.” Being fan-funded and deriving from the property’s film license, Otherlands carries an unusual, rogue-like status next to the “official” content contained within the games published by EA. It’s uncertain whether we’ll see Alice continue to explore Otherlands (in film or games), or if her adventures will continue along a different path. Despite the magical nature of these explorations, their existence requires real world funding and planning – a fate controlled by mysterious corporate and legal doings. For now, we have two short films and supporting art to sate our appetite for psychological adventure. Directors Troy Morgan and Ed Goin take us on journeys as unique as the characters whose minds Alice invades. Their visions add to the growing collection of art and storytelling that’s grown out of the Alice series. Linked below are digital assets produced by the Otherlands project. These can be used to recreate the physical rewards from the Kickstarter – Art book, DVD, and BluRay – as they are the same files we used for physical production. Due to legal constraints we are unable to sell physical rewards outside of the Kickstarter campaign (now ended). If you just want to watch the videos (not download the video files), you can do so via my YouTube Channel. These assets may be reproduced and distributed freely, but not offered for sale in any format.